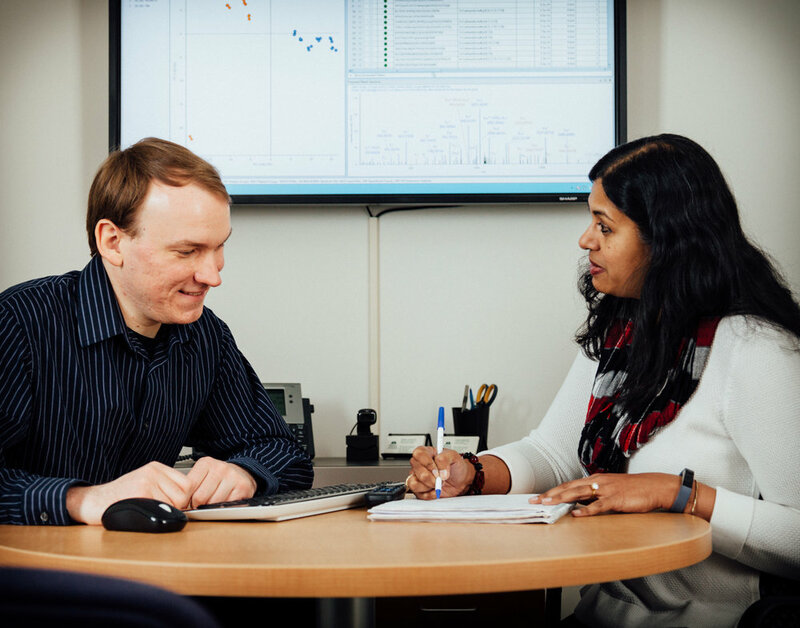 Our technologies and expertise are applied to targeted and untargeted analyses of biological molecules including identification, characterization, and quantitation of peptides, proteins, glycans, lipids, metabolites, and small molecules. Modern applications of mass spectrometry are vast, often requiring complex study designs and some level of customization or tailored method development. That’s why all projects begin with a free consultation to discuss your research question and the most appropriate methods and technologies available to address your needs. These interactions between the Investigator and Center researchers result in a comprehensive and customized plan for each project. Prior to the start of work, Investigators must approve the Project Charter, a written agreement that specifies all aspects of the experimental design, cost estimate, and projected timeline.